Vintage Adventurer | Kangaroo Chaos! After leaving Fremantle and the fantastic reception we got there, it was back on the road to Surfers Paradise. 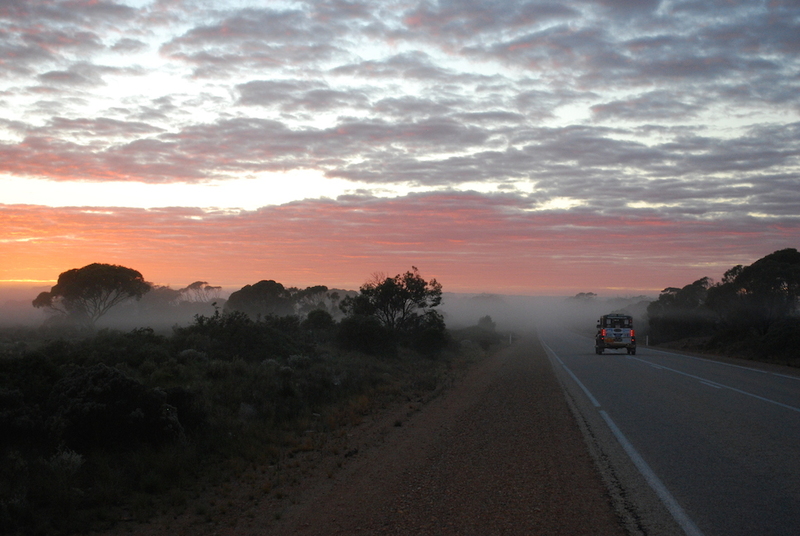 We were making good time and crossed the Nullarbor reaching half way where we were met with a glorious sunrise. Things were going great although no one dared say it out loud (or if they tried they were told to shush!). 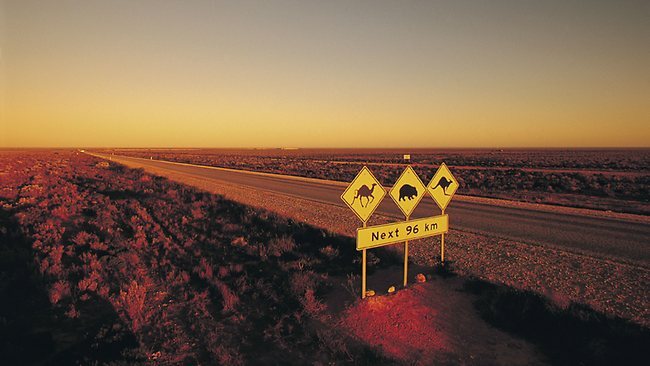 We were on the stretch to Cobar, which had been the area we had seen most of the kangaroos on the east/west journey, when we got the news that the Vito had been hit by a kangaroo on the road which had left the car disabled. The Kidney Kamper, now also known as SupaK for its agility on the road and catching up with the Tudor Rose, gathered up all the parts it could carry and now doubled as the support vehicle while the Vito crew waited for a tow. It was only a few hours later when a kangaroo hit the Tudor Rose but the old girl was unstoppable and Skippy came off worse in that battle.